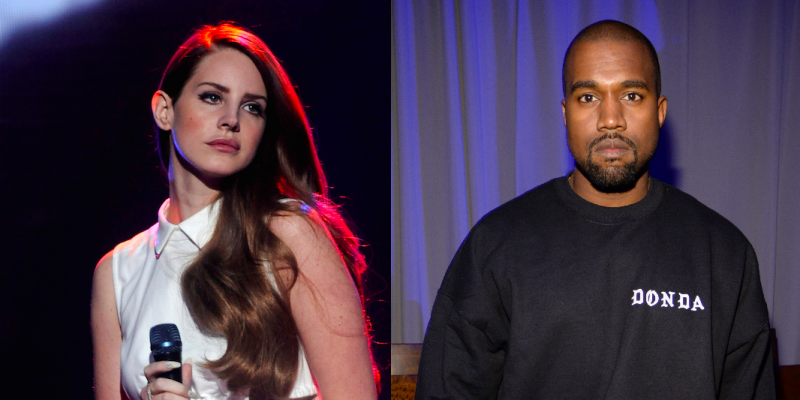 Lana Del Rey has chosen to spoke out against Kanye West’s support for the President of The United States, Donald Trump. She openly declared that she believes that the fact that the rapper supports the former businessman is a huge loss for culture. Though Kanye has always been quite vocal in his support for the former businessman, he triggered controversies yet again when he decided to rant in favor of the U.S President after his performance on the comedy program, Saturday Night Live. The rapper insisted in his rant that the president was not racist, though popularly believed while sporting a red baseball cap that said Make America Great Again. When Kanye posted a selfie of himself wearing the baseball cap, it led to Lana criticizing him for it. The Video Games singer has never tried to hide her political views which oppose the current president of the United States, and thus, she declared that though Donald Trump’s election meant that the country suffered a loss, Kanye’s support for the property tycoon only means that culture also took a hit. Lana wrote that the fact that the rapper identified with Donald Trump only meant that he was just as narcissistic and delusional as the man he supports. Furthermore, the artist vented that if Kanye could support the politician who thought it was okay to inappropriately touch a woman because he is famous, then he needs to get help and reevaluate his choices. While voicing out his support for Donald Trump in the caption with his selfie, Kanye also advised that politicians in the U.S should consider abolishing the 13th amendment that outlawed slavery. He believes that America should not outsource jobs to other countries, rather it should take steps to build more factories in the country and hence, create jobs for ex-cons and the unemployed. The rapper’s suggestion to abolish the 13th amendment caused not only Lana to take aim, but several other celebrities to lash out. Chris Evans, Captain America star also openly disapproved of Kanye’s suggestions and support for the president. After the backlash, Kanye retracted his statement concerning the 13th amendment saying that he had not mean to suggest that the amendment be abolished, rather he wants it to be revised. However, the damage had been done causing an uproar on social media where several celebrities vented their anger in reply to the tweets made by the rapper.